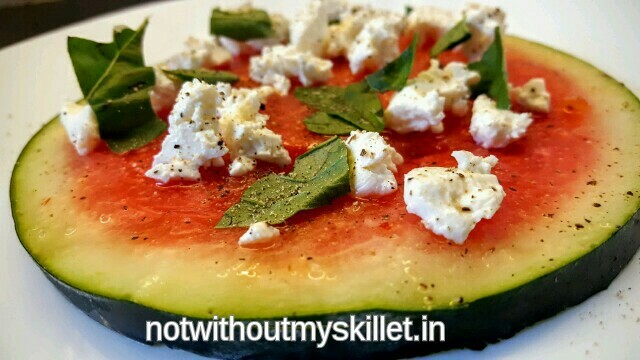 If you wish you can sprinkle a bit of black pepper on the watermelon too! 1. Cut the watermelon slice into 4 quarters. De-seed it. 2. Spread the sweet chilli sauce on the watermelon. 3. 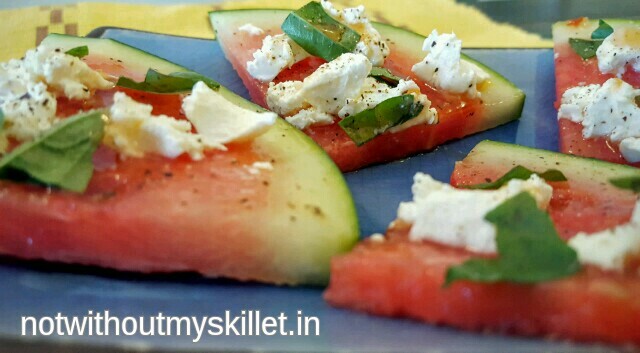 Crumble the feta all over the watermelon slice. 4. 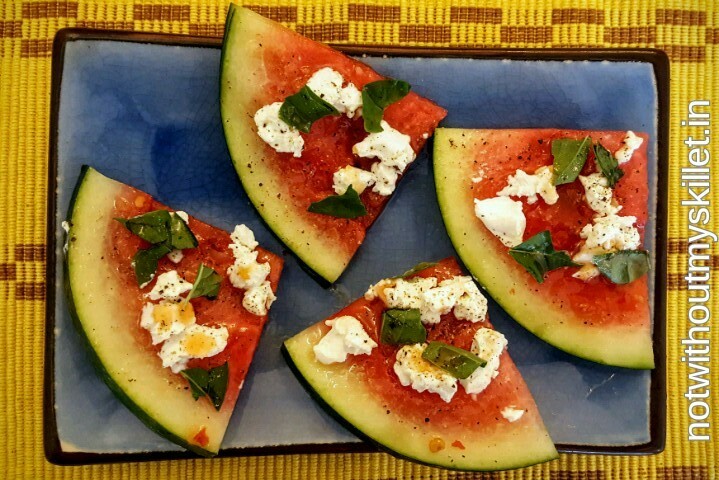 Tear the basil leaves by hand and scatter them all around the watermelon slice. 5. Sprinkle the reduced balsamic vinegar over it. Chill it. Serve cold as a starter or salad with a grilled dish. Kids love biting into an entire watermelon slice!